Since our presentations are cut to such short time limits, with every presenter, there are many unanswered questions from the audience. I am dedicating this blog post to answer some of the questions you all had about my particular topic “Running Through Your Newsfeeds” that I left out of my presentation. I urge you all to do the same with your presentations so that we can all dive a little deeper, and learn a little more about each other’s chosen interests and social media in general. The most common question I received was that many of you wanted to know about some particular running apps that I may use, and how you can use them as well. My favorite running app is called MapMyRun. 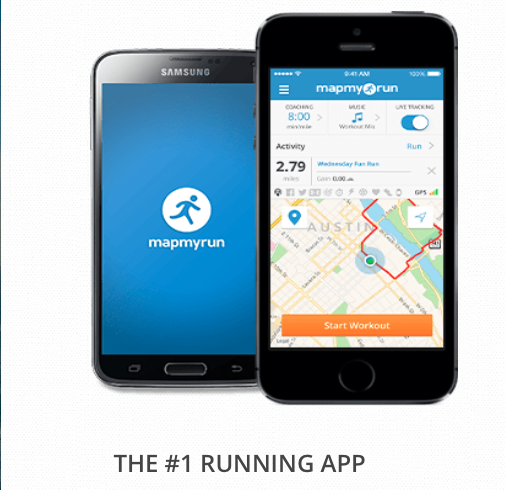 MapMyRun has many different features that I use both during and after my runs. If I would like to use it during my run, I use it for GPS purpose. MapMyRun has the capability to calculate your distance, pace, amount of calories burned, speed, elevation, duration and the overall route you have traveled. I often use the GPS, distance, duration, and pace features when I am running alone so I know how far I am going, and how fast I am running. The app also has the capability of synching with the music on your phone, Spotify, or apple music so you are still able to listen while it tells you your pace per mile or whatever you may choose to set it on. If I am not running with my phone on me, then I time my run on my watch, then go back to the map feature on the app when I finish. On the map feature, you can physically draw the area in which you have run and it will do the work for you, showing you the distance you ran and your mile paces. There are many other options that I do not personally use for example virtual coaching. This option will give you a little extra motivation, providing you with a virtual coach that will give you feedback on your performance. While playing with the app a little, I also noticed that you can add gear that you wear. You can tell them the type of shoe you run in and the model of it and it will set a lifespan on them, tracking the miles you run in them and alerting you when it is time to trade them in for a new pair. I had never seen this feature and will now probably use it as well. This is a great way to prevent injuries. Like most fitness apps, MapMyRun also gives you the option to share your workout successes with friends on twitter and Facebook. In order to stay safe, the app also has a tracking feature, so a friend or family member can track your run in case you get lost. So make sure to turn this feature off if you are running somewhere and don’t want anyone knowing where you are! If you’re reading this and thinking, “I’m not a runner so why do I care?” You don’t have to be a runner to use this app. MapMyRun also tracks fitness for walking, cycling, mountain biking, hiking, dog walking, stairs, cruisers, push ups, swimming, crunches and leg lifts, and many more options as well! So if anyone is looking to stay fit, this is a great app all around and has a strong recommendation from yours truly. Another feature that I use on my iPhone is simply the Maps feature. This app is great especially for out and back runs. If I am running in an area that is unfamiliar to me and I think that I may get lost, or just want to run somewhere cool but don’t know exactly how to get there, I just switch the maps feature to walk, and Siri will guide my run for me. This way, you will not have to constantly stare at your phone and worry about getting hit by a car in the process or stop to ask for directions. 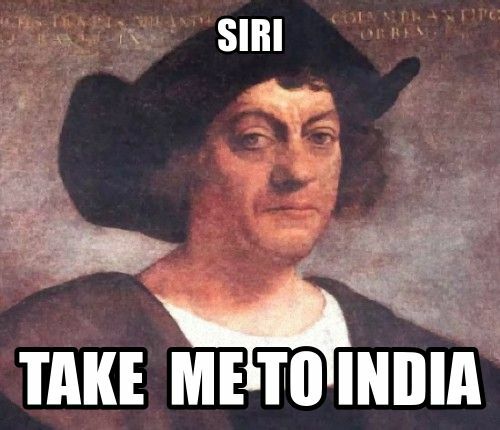 Just put your headphones in, and Siri will tell you which ways to turn and when you have reached your destination. You can also choose your route before you go, some are often longer than others but end up being better places to run, all depending on what you want to do on that given day. If you plan to use the maps feature here’s some friendly advice: DO NOT FORGET TO PUT THE SETTINGS ON WALK. If you keep it on drive, you will more often than not end up on a highway or in a tunnel where it is not safe to run and ultimately end up getting lost. Also, keep in mind that the maps feature uses a ton of data, so this is not something I would use everyday. Pay attention to where you are going when you are running so then you can memorize this route and be able to run it next time without Siri. Hey! This was a very informative and exciting post. I have been an avid runner all my life and, unfortunately, ever since the marathon in 2013, I have not been able to run because of knee problems. I was unaware that MapMyRun is able to keep track of so many other forms of exercise. I now do a lot of burpees because they are quick and basically get you in shape for any endeavor. My presentation this week is actually going to be about fitness and social media and after a little research it is difficult to see one fitness app taking over. There are so many fitness apps out there at the moment and the services offered by each differ but every so slightly. Thank you and happy running! Hi Meagan, I really loved this post. I personally am a huge fan of running apps, and have been for the last couple months when I started working out again. My personal favorite is Strava because of it’s simplicity and user-friendly interface that runs incredibly smoothly. Unfortunately, it’s pretty limited to just running and cycling, I wish it could expand to somehow keeping track of weights lifted, reps done, etc. From what I understand, the FitBit platform really keeps track of this sort of material, but from what I also hear, Map My Run keeps a far more detailed account of your running habits. What I really just wish is that the simplicity of Strava could be combined with a good mapping-based running application like Map My Run. Hi Megan, I loved your idea of blogging about answers for certain questions people had in mind after presentations. 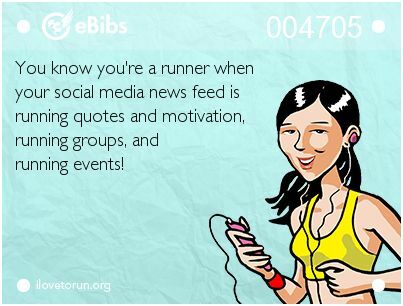 At Many times, I open my Facebook account and find my newsfeed filled with mapmyrun posts. People not only now know how much they ran, and where they ran exactly, but that has also become a challenge. People are now competing with each other through these posts. If I see that my friend has ran this amount of miles today, I feel the urge to beat him or her and want to run faster and more then him/her. I really didn’t know about the “adding gear” feature. Thanks to you I will now start to use that. With mapmyrun and the map feature, I feel hesitant to open these apps at times. I feel that when people want to know something about me, they can find exactly where I was, at what time, in which city. This is a big concern: privacy. These apps are definitely so helpful, but we sometimes resist to use them because it feels like “Big Brother” is watching you all the time. Thats how I feel at least. Thanks a lot for sharing, and I really enjoyed and learnt from your content. Meagan, really like that you did a follow-up post, perfect blog idea! Thanks for all the info about mapmyrun, I have friends who use it and now I’m curious to experiment with all it can do.